Filming has begun on Fede Alvarez‘ remake of Sam Raimi‘s classic 1981 horror film The Evil Dead. Raimi is producing alongside original co-producer Rob Tapert and franchise star Bruce Campbell. Alvarez co-wrote the screenplay with Rodo Savagues with Diablo Cody also doing some work on the script, which she calls “unbelievably violent.” The remake will keep the “five co-eds head to a cabin in the woods, and bad things happen” of the original, but since Raimi’s The Evil Dead was one of the forefathers of the genre, it’s immune from the scathing satire of The Cabin in the Woods. The remake stars Jane Levy (Suburgatory) as Mia; Shiloh Fernandez (Red Riding Hood) as David; Lou Taylor Pucci (Carriers) as Eric; Jessica Lucas (Cloverfield) as Olivia, and Elizabeth Blackmore (Legend of the Seeker) as Natalie. Like the original, the characters stumble upon the Book of the Dead, read from it, and are possessed until only one is remaining. Hit the jump for the press release. 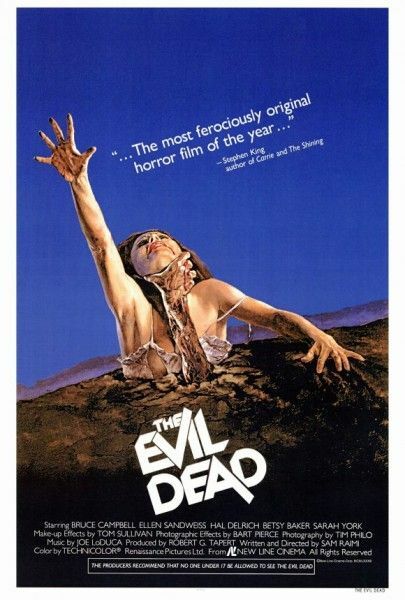 The Evil Dead is slated for April 12, 2013. Los Angeles, May 04, 2012 – Principal photography has begun on EVIL DEAD, in Auckland, New Zealand and will wrap in early July 2012. Ghost House Pictures is producing the much anticipated remake of Sam Raimi’s 1981 cult-hit horror film THE EVIL DEAD; the film that effectively launched the careers of Sam Raimi (SPIDER-MAN franchise); RobTapert (30 Days of Night) and Bruce Campbell who played the Ash character and was Co-Producer of the original, now brings them back to produce an EVIL DEAD for today’s audience that’s high on the horror, gore, plot twists and more from a screenplay written by Fede Alvarez and Rodo Sayagues. Executive Producers are J.R. Young, Nathan Kahane, Joseph Drake and Peter Schlessel. Sony Pictures Worldwide Acquisitions (SPWA) and FilmDistrict have partnered with Ghost House Pictures on a worldwide deal – excluding U.K. and France – for Sony Pictures to distribute the remake of EVIL DEAD.